Description: This is actually Tom's Restaurant, NYC. 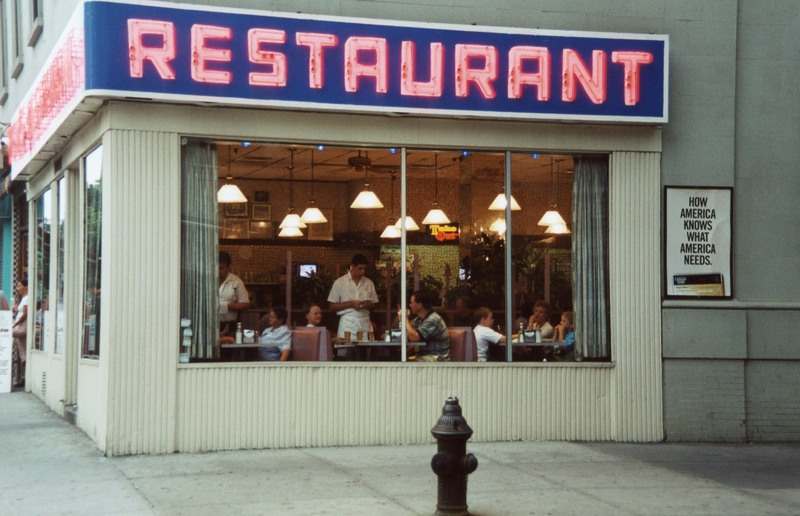 Famous as Monk's in Seinfeld, and as en:Tom's Diner, in the Suzanne Vega song of that name. It is located at the northeast corner of W. 112th Street and Broadway in New York, close to the campus of Columbia University, in the same building as the en:Goddard Institute of Space Studies. This page was last modified on 19 April 2017, at 18:27.